After feeling good about “Living Lilac. On the Road” — and liking local history — I imagined a story on the Lilac Queen would be successful. 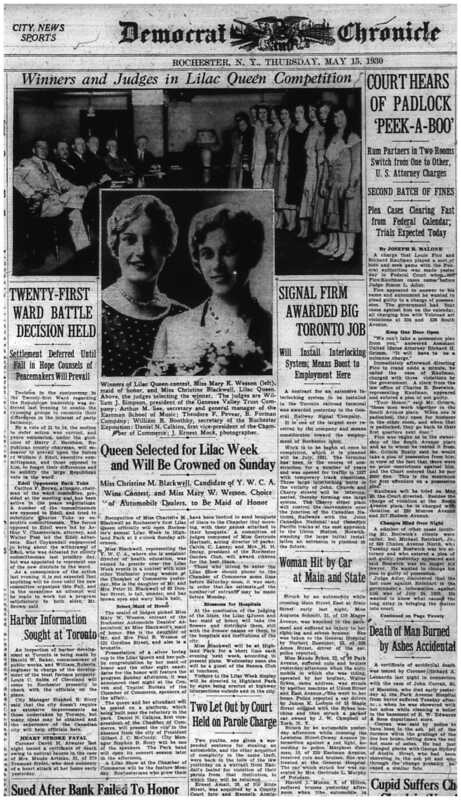 After all the Lilac Queen has been a Rochester tradition since 1930, even finding an article at the RPL’s local history department on the crowning of the first Queen, Miss Christine Blackwell. In recent years, based on academic achievement and community service, the Lilac Queen has been chosen from a pool of high school applicants, and includes the awarding of the Lilac Scholarship. Traditionally, the Queen marches in the parade and acts as ambassador at the Festival, walking amongst the lilacs and tents and giving small gifts to children. And no doubt riding in the horse drawn carriages — waving to her “subjects”! But when I tried to find the Queen making her royal rounds, she was nowhere to be seen. I inquired at the festival headquarters and made a couple of (unanswered) calls. Later I learned the contest and crowning had been discontinued in 2013. One women involved with the festival didn’t know the details, but said participation had been on the decline. I canvassed maybe twenty people about the Queen’s disappearance. Not surprisingly, many did not know — or barely — that she had existed. Most did not feel the loss deeply. Some said the whole concept of beauty queens was passé. One woman — who had wanted to be the queen in the 70s but was too shy to get on the tryout stage — said the Lilac Queen has basically gone the way of MidTown Plaza and the 20th century. Another said, if revived, a Lilac King should be included. People who did remember the queen liked her. One man recalled she was always friendly, and little girls followed her around like a princess. One older gentleman — who had not heard of the Lilac Queen — strongly endorsed “the concept.” His wife, rolling her eyes, chimed in: he likes the concept of pretty girls. Carl Gaedt, the main stage audio guy for decades you met in “Living Lilac,” very much approved of the scholarship part, thinking it’s good any time a young person has an opportunity for educational achievement. 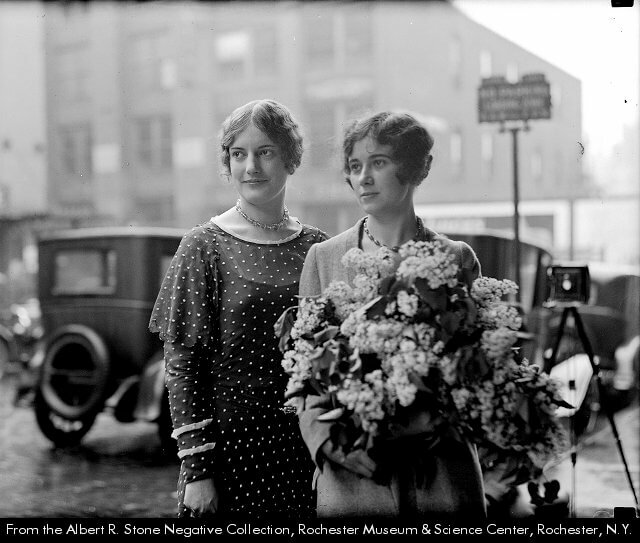 A young woman working at the Women’s Rochester Athletic Club stand said the queen was a nice feminine ideal matching the celebration of spring and flowers. She also speculated that bringing back the queen would add more “civility” to the event. The R.A.C woman’s comment on civility got me thinking. We’ve been reading about the incidents with groups of teenagers at and outside the festival. 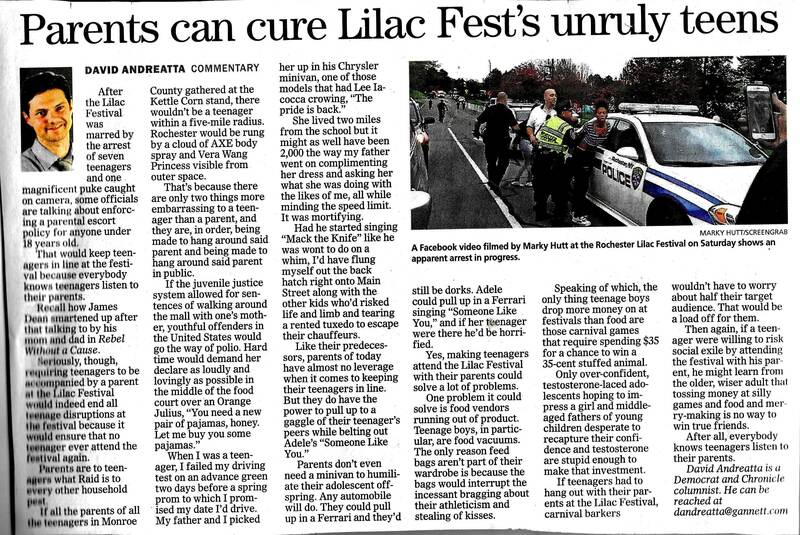 Mayor Warren has said teens may need adult supervision at the Lilac Festival, and maybe chaperones. So I have a modest proposal. Let’s bring back the Lilac Queen. And add a King. Actually we can have several royal couples. They should be chosen not by adults but by high school students. They should be super cool kids who excel in sports, academics, drama or music. For example, I nominate SOTA’s Kenny Cruz and Emma Myrgold. In the evenings during the music shows — dressed in their finest courtly attire — the couples could walk around the crowd. Handing out popcorn, cotton candy and music cd’s, they would be smiling, fun loving ambassadors of civility. If any trouble starts, they’d know to chill everyone out. Maybe Andreatta is right that teens don’t listen to their parents, but maybe they’d listen to the Lilac Queen and King. Let’s bring back the Lilac Queens. And Kings. And make them 21st century. Don't just shoot: a local organizer's critical response to "Peace Officer," a new Independent Lens documentary airing on PBS.